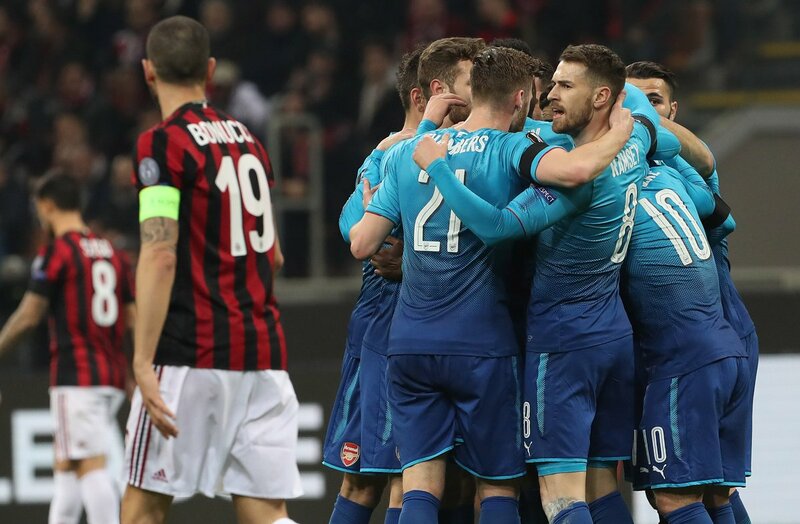 Arsenal put their recent form behind them to win 2-0 at the San Siro and take a commanding lead in the Europa League tie with AC Milan. Many Arsenal fans were daunted by the prospect of this tie but that didn’t seem to translate onto the Gunners players. The away side started this match on the front foot and flowed forward to try and grab that crucial away goal. Milan barely threatened the Arsenal goal but were almost handed a golden opportunity. 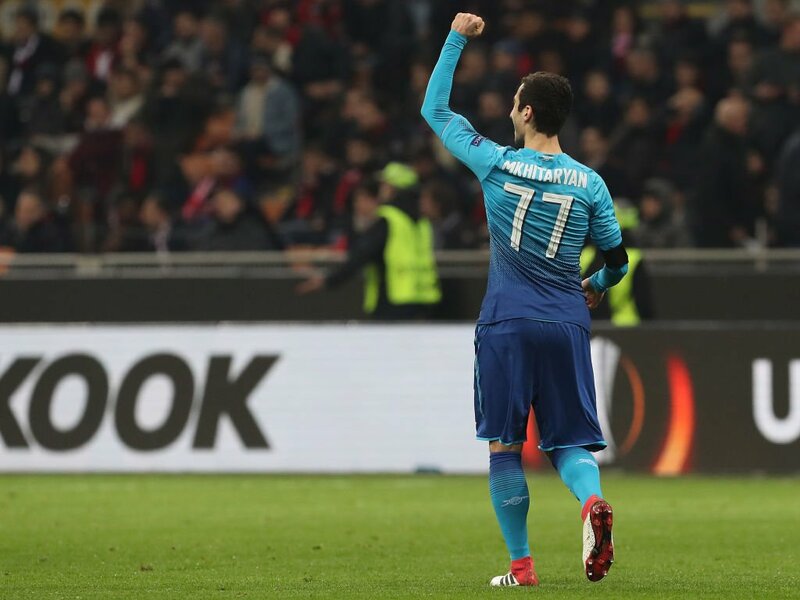 David Ospina came close to conceding a penalty when Hakan Calhanoglu broke through but, fortunately for Arsenal, the form Leverkusen man stayed on his feet. But Arsenal continued to push forward. 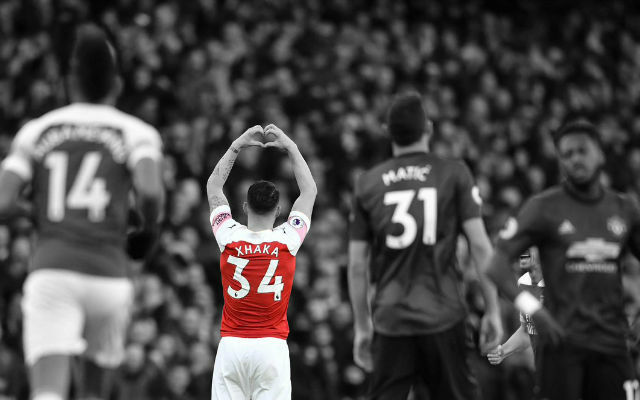 Henrikh Mkhitaryan and Sead Kolasinac combined well on the left and broke clear on a number of occasions but their combined end product was lacking. That only lasted so long. Mesut Ozil picked up the ball and spread it out wide to Mkhitaryan. The former United man took a touch before cutting inside onto his right foot and hitting a deflected strike past Gigi Donnarumma. The Gunners had a host of chances in the first-half. 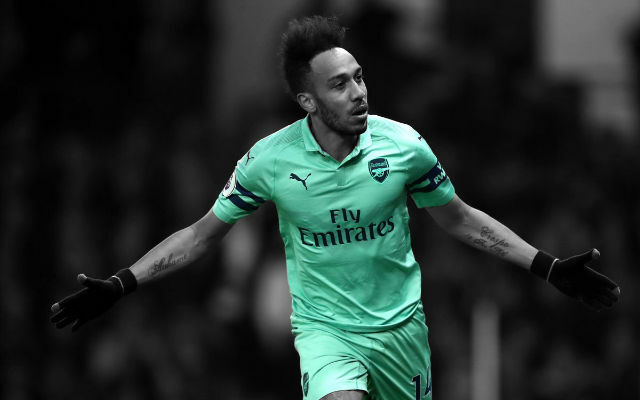 Danny Welbeck was denied by Donnarumma before Mkhitaryan clipped the top of the crossbar with an almost identical chance to the one which led to Arsenal’s lead. 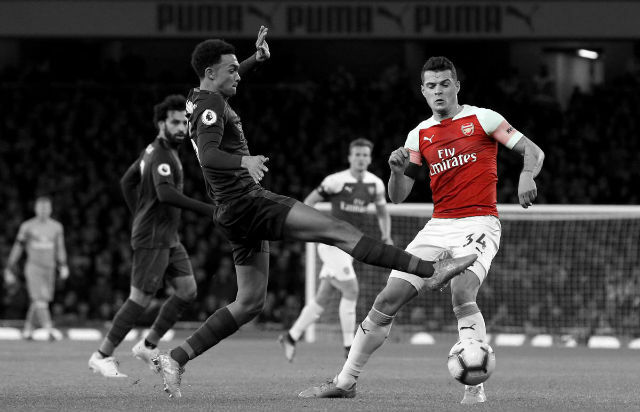 Eventually, the Gunners did get their second. The impressive Mesut Ozil picked up the ball 25 yards from the Arsenal goal and slid in a wonderful pass to Aaron Ramsey. The Welshman timed his run perfectly before showing enough composure to take it past the 19-year-old Italian stopper to score. Milan grew into the match after the break and started to push forward in search of a way back into the tie. The Italian giants did create a couple of openings but none were clear enough to test David Ospina in the Arsenal goal. The Gunners simply shut up shop and were quite content to take the 2-0 lead back to London. He was Arsenal’s weak link for most of this match. David Ospina almost gifted the opposition a couple of goals and a penalty but kept a clean sheet and produced a couple of decent stops in the closing moments. He played well. Calum Chambers isn’t the most natural right-back in the squad but did well, especially in the first-half. The former Southampton even looked a threat moving forward. Shkodran Mustafi had a few shaky moments but did well on the whole. The German was a little careless in possession but it’s his best performance in some time. Laurent Koscielny played extremely well. 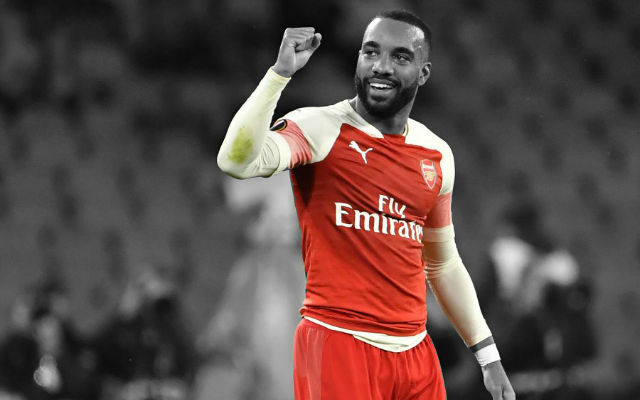 The Frenchman put in his best performance for some time at the centre of the defence as he controlled the Milan attack with ease. He performed well, particularly in the first-half. Most of Arsenal’s best moments came via Sead Kolasinac and Henrikh Mkhitaryan down the left flank. However, the Bosnian’s final product was severly lacking. A hugely impressive thirty-minute cameo from Ainsley Maitland-Niles. His composure to come off the bench in a match like this was wonderful. A fine performance from Aaron Ramsey, particularly in the first-half. The Welshman scored a memorable goal just before the break to put this first-leg match beyond doubt. He played well. 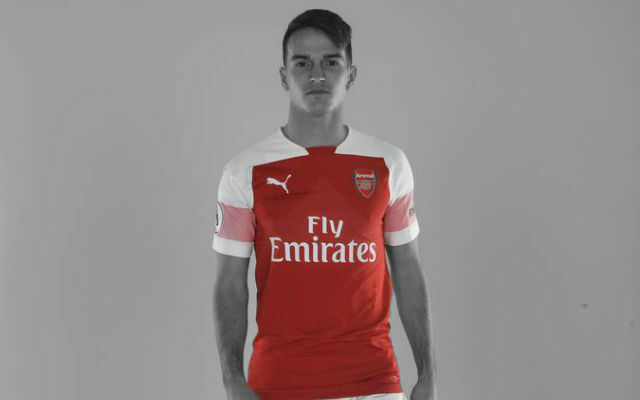 Granit Xhaka was decent in the first-half and defensively sound in the second. Solid game management from the Swiss international. Henrikh Mkhitaryan put in his best Arsenal performance since his full debut against Everton. The Armenian got the all-important opening goal and was perhaps a little unfortunate not to grab a second. He played well. Jack Wilshere was a constant threat in the centre of the park and linked up well with Danny Welbeck. 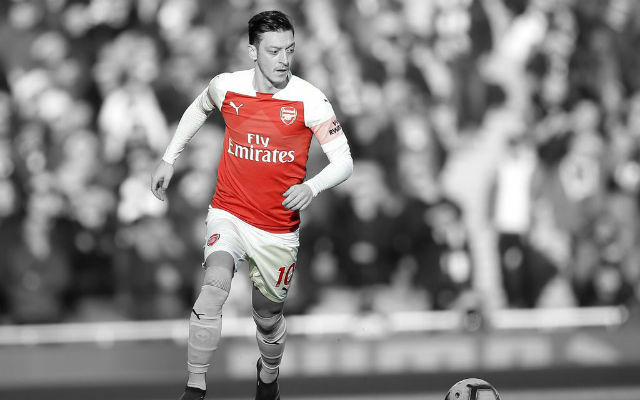 A standout performance from Mesut Ozil. The German put in the perfect response to the criticism of his recent form with two vital assists. He performed extremely well. Danny Welbeck may not have got his name on the scoresheet but he led the line for Arsenal this evening. His workrate was insatiable and he really tested the Milan defence at times. Great stuff.